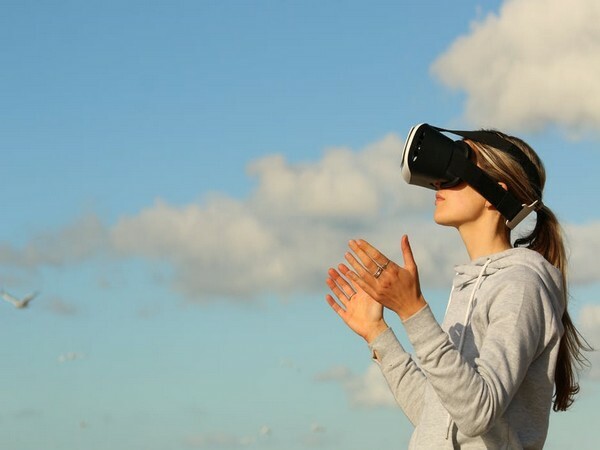 Virtual reality sessions can help reduce anxiety levels and thereby improve pregnancy rate of women having fertility treatment, finds a study. The study is by Professor Fabienne Roelants, Saint-Luc Hospital, Catholic University of Louvain, Brussels, Belgium, and colleagues. Along with many other hospital procedures, undergoing fertility treatment can cause stress and anxiety for women. In this study, the authors assessed the effects of two different VR sessions on the level of women’s anxiety during their hospital visit. After written informed consent, 100 women between 18 and 42 years old scheduled for oocyte retrieval (OR: for in-vitro fertilisation) under sedation were included in a prospective randomised double-blinded study. A visual anxiety scale (VAS) as well as a Spielberger’s Scale Trait Anxiety Inventory (STAI) were performed before (t1) and after VR (t2) session and before leaving the hospital (t3). For OR, remifentanil (0.1µg/kg/min) and ketamine (0.15mg/kg) were used and propofol added as needed. The women were randomly assigned one of two types of VR session. In the distraction group (n=56), women received a VR session (an underwater walk cut off from all ambient noise) and the hypnosis group (n=44) received a VR session with hypnosis focused on breathing, slowing respiratory rhythm, along with suggestions to repeat the technique later to find well-being and calm as needed (AQUA Oncomfort ®). There was no statistically significant difference regarding anxiety scores between groups, but in each group anxiety scores decreased (both statistically significant): on the VAS of 100 points, the distraction group women’s average anxiety score fell from 34 before the VR session to 23 after. In the hypnosis group, the score fell from 40 to 26 points. In both groups, anxiety scores fell further just before leaving hospital, to 12 points in the distraction group and 14 in the hypnosis group. In the distraction group, 48 of 55 women had embryos successfully transferred, but only 10 of these women (22 percent) were biologically confirmed as pregnant, and only seven of these women (15 percent) had an ultrasound confirmed successful pregnancy at 12 weeks gestation (termed clinical pregnancy). In the hypnosis group, 35 women had embryos successfully transferred, with 16 of these (46 percent) biologically confirmed as pregnant, and eight of these (23 percent) went on the have an ultrasound confirmed clinical pregnancy at 12 weeks. However, the difference between the hypnosis group and the distraction group for clinical pregnancy was not statistically significant. The 23 percent successful clinical pregnancy rate in the hypnosis group is similar to the rate seen in women with no VR session in the authors’ clinic: in 2016, their most year with complete data, around 1 in 4 (25 percent) of 1000 treatments given resulted in a successful pregnancy, although they emphasise that the successful pregnancy rate can vary from year to year. The research was presented at this year’s Euroanaesthesia congress in Copenhagen, Denmark.